These four contrasting pieces will be fun to play for anyone of moderate ability on the viola. They are approximately at the level grades 3-5 of the UK music exam boards. The four pieces are Floating, Enigma cantabile, Barcarolle and Wiggle Woggle. 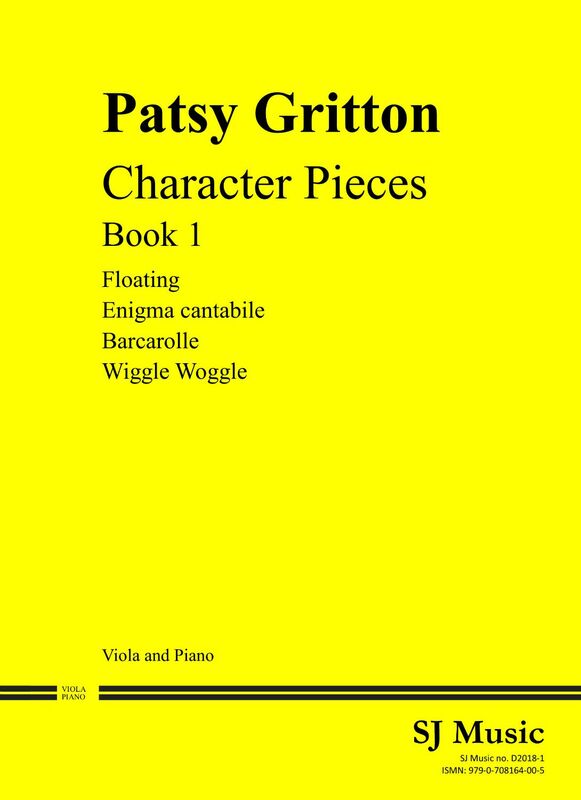 The composer, Patsy Gritton, was born in Yorkshire in the UK, and moved south to study at the Royal College of Music, London where she specialised in keyboard instruments, violin, and subsequently, violoncello. After finishing her studies, she worked for a London concert agent, before concentrating on accompanying, teaching and composing. Her pieces, in particular for cello ensemble and for harp ensemble, have been enthusiastically received and widely played. In 2006 Patsy withdrew from her work as examiner for the Associated Board of the Royal Schools of Music in order to give more time to her creative activities.